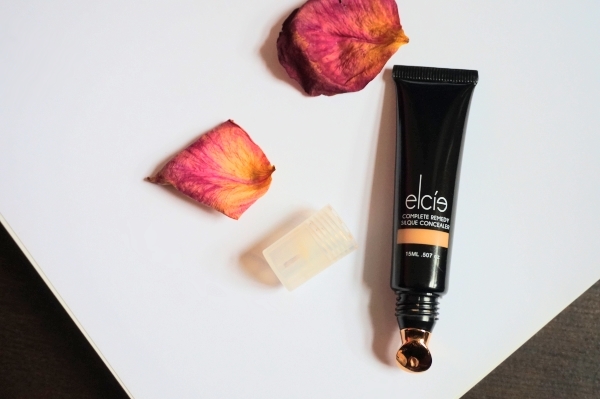 Elcie claims that their under-eye concealer is able to correct and brighten with its medium-to-full buildable coverage. Infused with ingredients such as caffeine, cranberry seed oil and the infamous hyaluronic acid, this concealer is said to work similarly to an eye cream by de-puffing, hydrating and reducing the appearance of fine lines and wrinkles. There are currently 7 shades available: Light, Light Medium, Medium, Medium Tan, Tan, Tan Dark and Dark. My shade is Medium Tan and I find it to be more on the neutral side. 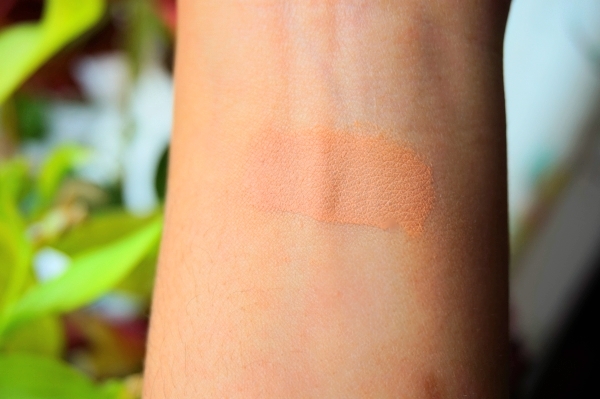 Looking at swatches online, I chose Medium Tan as it looked like it would match my skin colour perfectly however, as you can see from the swatches below, it dries down to a couple of shades darker. Definitely not suitable for me to brighten or conceal so I use this as more of a corrector and add a lighter shade of concealer on top. So, the first claim is that it is a medium-to-full coverage. In all honesty, I would say that it edges closer to a solid medium. 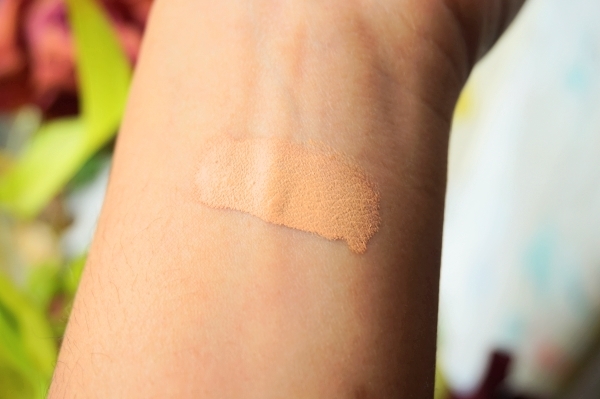 It has a lightweight, creamy consistency and does layer beautifully however; I don't think that it is heavy duty enough to be called full coverage. If my under eye area is more dehydrated than usual, I find that the product can cling to the dry patches, making it difficult to create a smooth and even canvas. I find that I don't have to set the concealer as it dries down to a soft matt finish on my normal/dry skin. I would say that the wear time without setting is around 6-7 hours. Creasing is there but minimal. I have fine lines, there will always be creasing. I'm used to it. Plus, because I don't set with powder, as the product creases or fades away, I can always touch up. I like the unique applicator as the metal tip where you squeeze the product out from gives a cool and refreshing sensation. Quick tip: I find that using the metal tip to massage around the eye area (without any product) really helps to de-puff the under eye area, making for a smoother concealer application. Other than the de-puffing which is caused by the cool, metal tip, I haven't really witnessed any of the eye cream benefits so I can't comment on there being a reduction of fine lines and wrinkles. Great formula, good coverage, interesting applicator, poor shade range. With Elcie being a small brand, its understandable that their shade range is limited and they have tried to cater to most shades. However, now that they are aware that people are interested in purchasing the concealer and that there are good reviews about the formula, it would be nice for them to expand the shades by adding a few more colours with varying undertones across the spectrum i.e., light/medium/dark and warm/pink. Also, some more accurate swatches online would be appreciated!